Get heads turning your way with this stylish costume hat in apple green. 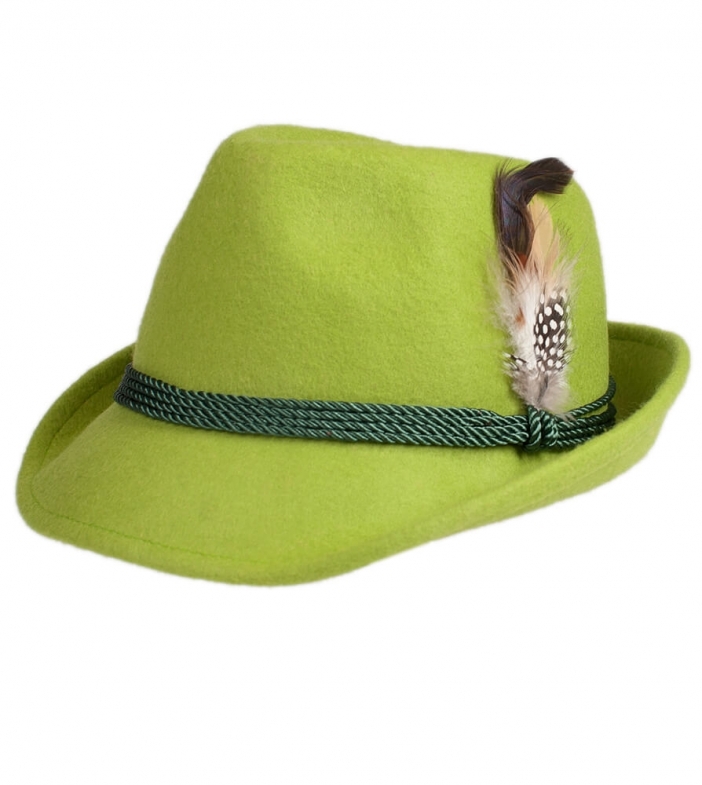 Guaranteed to get you noticed in a crowd, this Bavarian-style apple-green costume hat features a smart brim and four dark-green cords that hold a magnificently designed feather in place. This hat would look great matched with a traditional Dirndl dress or Lederhosen.